Normally when I share healthy tips with you all, they are things that I want to do better with or have already been practicing with good results. I will never post anything that I don’t believe in. I stopped microwaving food in plastic and styrofoam a couple of years ago, probably around the birth of my son in 2013. Seems like we all start to do better with the addition of our children huh? While researching this topic I came across an interesting article in ‘support’ of microwaving your food in plastic. 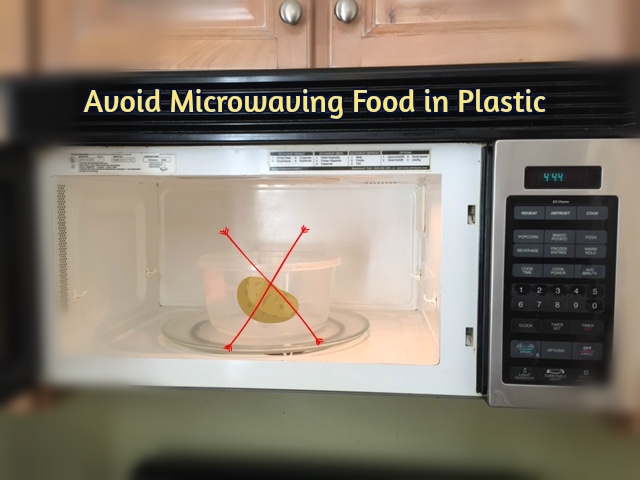 It didn’t come right out and say, “5 reasons why you should microwave your food in plastic” but instead the intended goal was to prove why it isn’t so harmful. They even included a section, “The Bottom Line” because they know they know we don’t like to read. That list above is just too much for me! Who has time or the brain space to remember it all? I know this mama doesn’t! If you have to perform several different tests to determine what’s safe for use but then there’s still the ‘potential’ that harmful chemicals can leak into the food, it’s not worth using! Because ‘plastic’ is so cheap to make and sell, of course the government and other for profit organizations will protect their interests with articles like this. Do your research and analyze the sources! Thankfully, I don’t see this as an obstacle anymore because I gave our microwave away a few months ago and we only use the oven to reheat things now. But occasionally I will visit family and friends and for the sake of convenience or to not seem like a total weirdo (lol), I’ll pop something in the microwave. But I never, ever use plastic or styrofoam. My husband on the other hand is a work in progress. You know men are all about convenience and if I send lunch in plastic, 9 times out of 10, it’s going to get reheated in plastic :-/. If you thought this was extra, my next step is to actually remove all of the plastic containers and tupperware in our house and only use glass. Can’t use what you don’t have, right?! That’s it for #HealthyTipTuesday this week. Hope you all found it helpful!